I recently started a new book and its nothing like I have ever read before. I first heard of the book though the 12-12-12 project my girl Marissa started. The author Sara Gorman, was featured in May. Her condition: Systemic Lupus. I had heard of lupus before. Back in 2004, one of my Drs had though that I might have it. I don't. But when Marissa suggested it, I wondered how it could relate to me? After all, I don't have lupus. 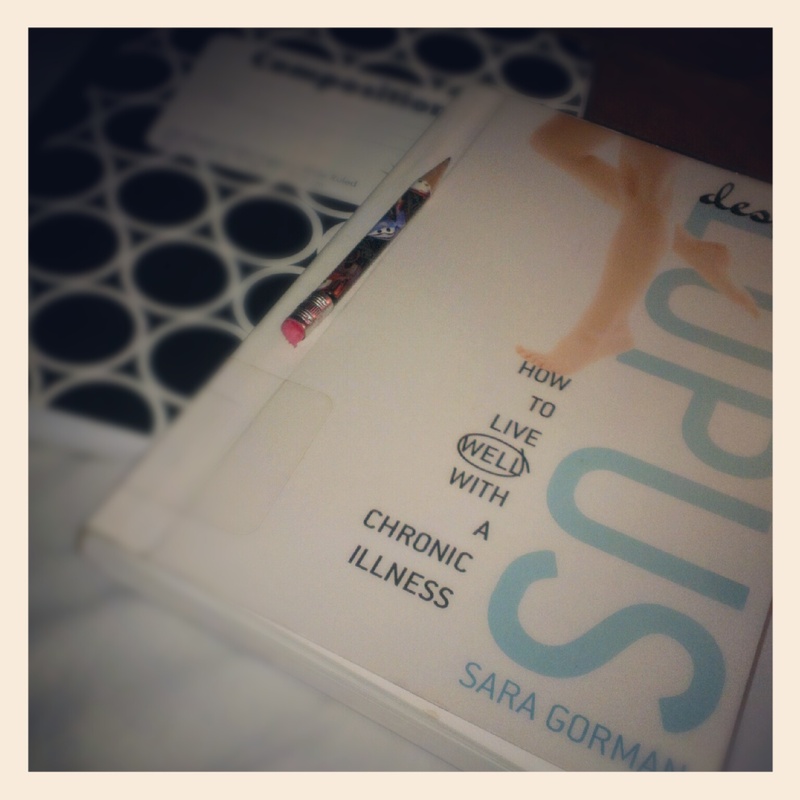 The tagline of the book: How to live well with a chronic illness. Now that I can relate to. That I need to figure out! After months of putting it off, guess what popped up at the library for me. This book! Ive only gotten through the first so many pages and have written down so many quotes and started to write down my "list". That is another post on its own. I may not have be on the same team as her, but the rules are the same. Its not, sick or not sick. I'm allowed good days and bad. I've always known that the things I do today will determine my tomorrow. But somehow seeing and reading about someone else struggling and still coming out on top gives me such hope. I didn't realize how much hope I have lost over this hopeless summer. But I'm on my way back up. Thank You Sara and Marissa for helping me find my way again. Oh! Remember this post about my super cool Pillfold. Guess who is the brains behind them? 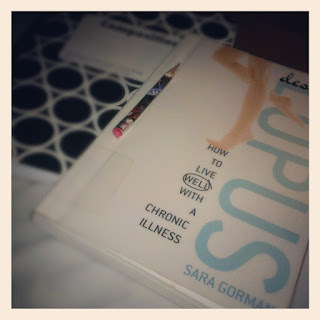 The very same Sara Gorman that wrote this book! Stop by Abledis and catch up with Marissa and the 12-12-12 Project HERE. And don't forget to visit Sara HERE to learn more about her book and pillfolds! !